There are both advantages and disadvantages to listing your home as For-Sale-By-Owner (FSBO). In general, you will need to pay a 5-7% commission to realtors if you have them list it. However, it may be important to look at the appraised value of your home, rather than what you need to get out of the sale, when determining how you will sell it. An experienced attorney can help you analyze your situation and determine a sensible course of action, as well as representing you during the process of selling your home. At Pulgini & Norton, our experienced Boston real estate lawyers may be able to help you with For-Sale-By-Owner listings. There are benefits to listing your home yourself. When you sell a home for $300,000, and the commission is 6%, for example, the commission is $18,000. In addition to not having to pay a commission fee, you maintain your control over the sale. When a realtor is selling your home, potential buyers—strangers— will be walking through your home throughout the day, which may be stressful. Since you know your home, when you list it yourself, you can clearly describe its amenities and make your case for how much it is worth. In contrast, a realtor has numerous homes to sell and may not have as strong an understanding of why your home is better or worse than any other. However, there also are disadvantages to listing your home yourself. For example, there is a risk that you will need to sell your home for much less than what it is worth or that you will overprice it. In Massachusetts, overpricing may be a serious problem for people trying to sell their homes themselves. They may overestimate the increased value of a home improvement, for example. Generally, a home that is listed by the seller sells for 15% less than homes that a realtor is responsible for selling. You will need to take the time to learn about disclosures and other relevant legal details. You may take the risk of financial and legal liability in the event that you make a mistake. This is why it may be crucial to retain an experienced real estate attorney who can help you make sure that you cover all of your bases. Additionally, you may not have much experience in promotion and sales, which means that you will be at a disadvantage in comparison to other sellers who are using realtors. Realtors may list homes on multiple listing services, which are a powerful tool for sales. Moreover, you will need to undergo the huge task of self-education about how to advertise and how to determine whether an offer is reasonable and legitimate, as well as negotiating with buyers directly. In some cases, people who will not be able to get a mortgage try to find homes that are for sale by owner, knowing that they may be able to exploit an inexperienced seller. If you are trying to decide whether to put out a for-sale-by-owner listing, Pulgini & Norton's Boston real estate attorneys may be able to help. Our firm represents buyers, sellers, associations, and lenders in Andover, Lowell, and Brookline, among other Massachusetts communities. 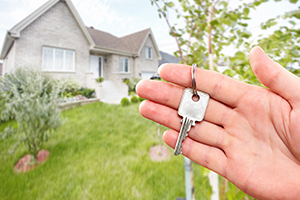 Call us at 781-843-2200 or complete our online form for a free appointment with a property transaction attorney.